Piper Flyer Association - ASA 2015 Catalogs Available Now! ASA 2015 Catalogs Available Now! 22 July 2014 | Published in Latest News. Newcastle, WA-- ASA's new full-color, 48-page catalog showcasing the product line for 2015 is now available and ready for shipping. The 2015 Product Showcase includes product descriptions and pictures as well as order and pricing information for more than 600 educational training products and supplies for all types of aviators. ASA's expanded line of training products provides students with what they need, in the format that suits them best, to accomplish the training goals that lie ahead. From print books and pilot supplies to eBooks and eBundles, ASA uses the highest quality materials and employs the latest in technological expertise to deliver accurate, reliable, and trusted content. 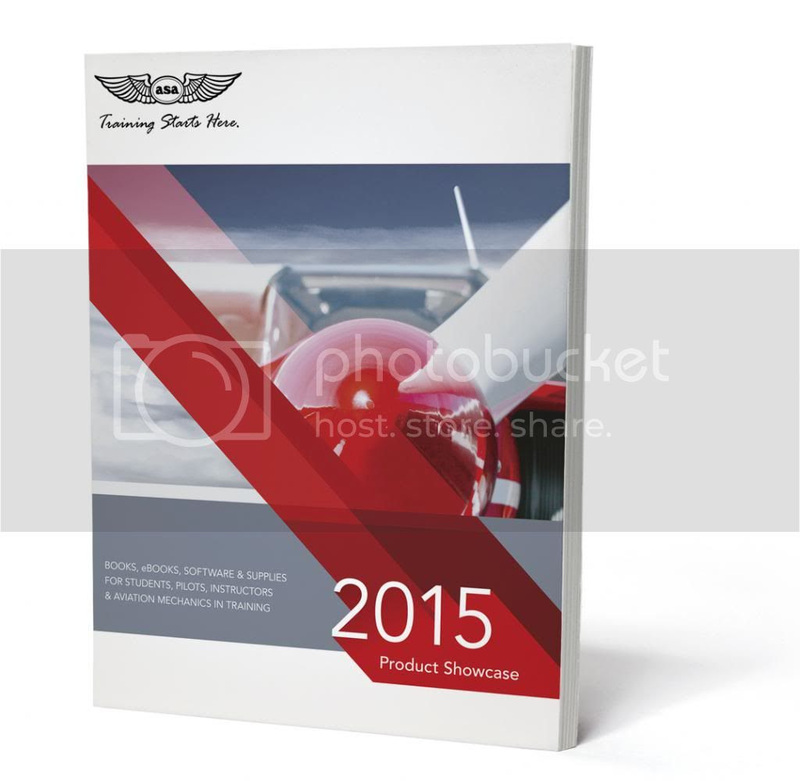 The 2015 Product Showcase contains an abundance of quality books, software and digital training tools, as well as reliable and dependable supplies for pilots, maintenance technicians, and operators. Explore the collection of flight computers, plotters, kneeboards, chart organizers, logbooks, headsets, and flight bags to find quality items for use in daily operations whether they are in the classroom, in the hangar, on the flightline, or in the air. Contact ASA to have a catalog mailed to you, or download the digital version of the 2015 Product Showcase to your computer, tablet, or smartphone.